A dream of copper magnate Marcus Daly was to make Anaconda the state capital. For that reason, he spared no expense in making Anaconda’s buildings spectacular. 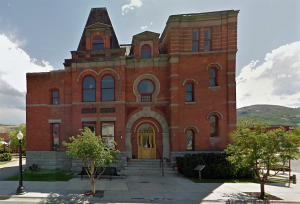 One example of his largess is the Anaconda City Hall which was built in 1895. Constructed of local materials, its pressed brick and Anaconda granite are trimmed with Anaconda copper. In its day, it was the finest city hall in the northwest. In 1976 the building was boarded up and abandoned when the city moved its offices to the County Courthouse. In 1982, Copper Village Museum and Arts Center along with the local Historical Society renovated the building and transformed it into a regional cultural center. Today, the building houses an art gallery, retail shops, a crafts center, and the historical museum.